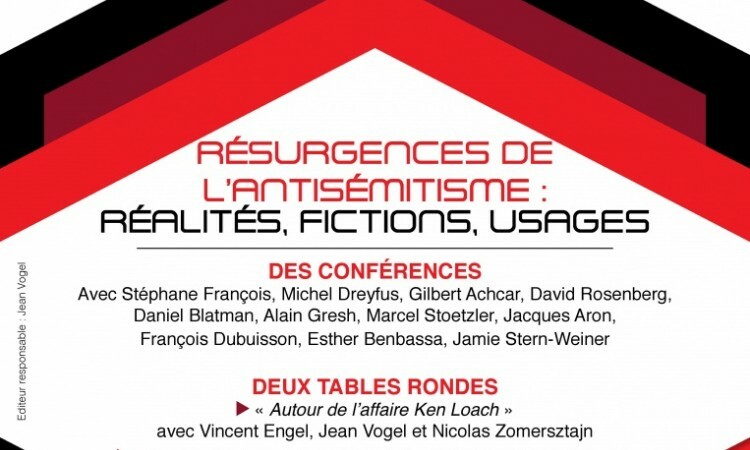 Our present symposium’s aim is to provide a critical analysis of the resurgence of anti-Semitism today, through a series of papers presented by Belgian and International specialists concerning facts, representations and uses of anti-Semitism in our contemporary societies both in Europe and outside Europe. In recent years, violent events in France and Belgium have brought to light the deadly nature of the anti-Semitic hatred still present in Europe. Beyond the basic condemnation of acts and criminal speeches, a debate rages around their interpretations, such as the recent controversy in France around the call against the "new anti-Semitism". Also, in Belgium, when the ULB granted Ken Loach with the Dr Honoris Causa, it unleashed controversial passions. We felt the need to reawaken and deepen the reflection on anti-Semitism by approaching it frontally and along three distinct axes - the facts, the representations, the strategies - wherever this notion is to be encountered. In line with Marcel Liebman's concerns, the issue of anti-Semitism today is a major challenge for the Marcel Liebman Institute. Marcel Liebman has written numerous articles on the subject, all of these have been collected in: Figures de l’antisémitisme, (éditions Aden, 2009, 232p.). The M.L. Institute organized a study day in December 2006 on the theme "Should Holocaust denial be penalized? « This Symposium was a success and led to the publication of a DVD containing the interventions and debates of the day. 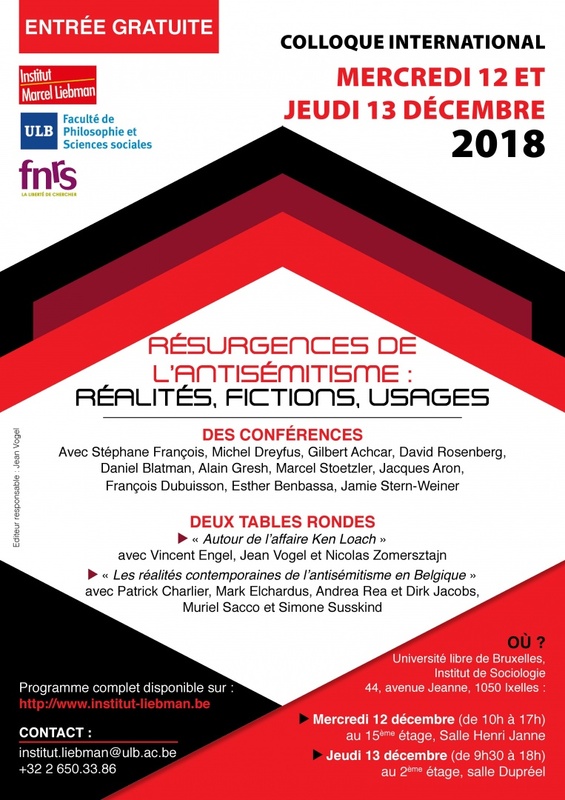 Our present symposium’s aim is to provide a critical analysis of the resurgence of anti-Semitism today, through a series of papers presented by Belgian and International specialists concerning facts, representations and uses of anti-Semitism in our contemporary societies both in Europe and outside Europe. In keeping with our specific approach to current societal problems, particular attention to historical dimensions will shed light on contemporary issues of anti-Semitism. - 15:30-17:00 Round table - debate on the Ken Loach affair - Jean Vogel (Marcel Liebman Institute), Nicolas Zomerzstajn (Centre Communautaire Laïque Juif) and Vincent Engel (professor of contemporary literature at UC Louvain, author and columnist). - 15:00-15:30 Charging Corbyn: How 'Antisemitism' Was Weaponised Against the Left - Jamie Stern-Weiner (PhD candidate in Area Studies at the University of Oxford). - 16:30-18:00 Round table - debate on the contemporary realities of anti-Semitism in Belgium: Muriel Sacco (sociologist, ULB), Mark Elchardus (sociologist, VUB), Patrick Charlier (co-director of Unia, ex-Center for equal opportunities and the fight against racism), Andrea Rea (sociologists, ULB) and Simone Susskind (sociologist, Senator of Brussels)..